Marcillac accommodation for non smokers. You also do not like cigarette smoke or smoky smelling rooms? Then there is the offer for you nonsmokers who really do not like staying in a smoky environment. Some hotels are non-smoking throughout and do not allow to smoke in any areas, not in the rooms and also not in the common areas. Other Marcillac hotels offer a mix of smoking and non-smoking rooms and areas but for client comfort often distinguish whole smoking and non-smoking floors. Set on a 3000 m² park, this 19th-century house offers an outdoor swimming pool and B&B accommodation in Marcillac. Guests can enjoy a free sailing boat ride on the Gironde estuary. Situated in Saint-Aubin-de-Blaye, LE CORMIER DE L'ESTUAIRE provides accommodation with free WiFi and access to a garden. All units come with a seating area, a flat-screen TV and a private bathroom with free toiletries and shower. Set in Saint-Caprais-de-Blaye, La Closerie du Chêne Bleu provides accommodation with an outdoor pool, a garden and a terrace. Free WiFi is featured. Providing free WiFi, Hôtel Restaurant Le Relais de l'Estuaire is situated in Étauliers. The property has a garden, as well as a terrace. Situated in the heart of Montendre, a 15-minute walk from the train station, Chambres d'Hôtes du Jardin has a sauna, terrace, 3500m² park and free Wi-Fi in the rooms. The rooms have a private bathroom, some with a bath, and some with a shower. With a garden and a terrace, Au Pays des Bulles offers accommodation with free WiFi. A microwave and coffee machine are also available. Offering a sun terrace and views of the pool, HÔTEL LA TOUR PERRIER is located in Eyrans. All rooms are equipped with a flat-screen TV. Chateau Pontet d'Eyrans & Spa is situated in Eyrans and features free bikes, a seasonal outdoor swimming pool and barbecue facilities. Both private parking and free WiFi are accessible at the guest house. Providing a seasonal outdoor swimming pool, Gites Gayet provides accommodation in Saint-Androny. Complimentary WiFi is available. Built in 1890 and surrounded by vineyards with free visits and tastings, Maison de Jean has a covered and heated swimming pool, barbecue facilities and there is a lake on site, where it is possible to fish. The rooms have a private shower room and a fully equipped kitchen with oven, dishwasher, microwave, fridge and washer/dryer. Situated in Saint-Paul, Chambres d'hôtes les Denias features accommodation with free WiFi and access to a garden. All units feature air conditioning and a TV. Offering an outdoor swimming pool and a 80 m² spa and wellness centre, Domaine des Doucins & Spa is a guest house with bedrooms and cottages located 8 km from Jonzac. Free W-Fi access is available. Offering a seasonal outdoor swimming pool and surrounded by vineyards, Chambres d'hotes Le Plantis is located in Sousmoulins, 13 km from Jonzac. Free bikes and free WiFi access are available. Situated in Saint-Thomas-de-Cônac, 39 km from Royan, Domaine de l'Estuaire boasts a sun terrace and views of the river. Free WiFi is provided throughout the property and free private parking is available on site. Featuring a garden and a terrace, Clos Réaud de la Citadelle is set in Blaye and offers accommodation with free WiFi. A heated pool is available during the summer. Located in Saint-Mariens, a 30-minute drive from Blaye Citadel and the Gironde Estuary, Château Gourdet Maison d'Hôtes offers B&B accommodation set in a 17th-century castle surrounded by a garden overlooking vineyards and a forest. Offering views over the garden, each Château Gourdet individually decorated room includes a seating area and a desk. 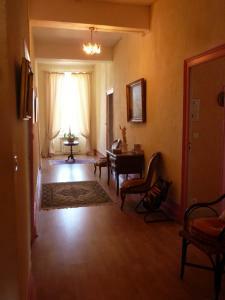 Offering free WiFi and city views, The Suites is an accommodation situated in Blaye. Guests staying at this apartment have access to a fully equipped kitchen. This Logis hotel is located next to Paulliac’s Marina, in northern Aquitaine. It has a garden and en-suite guestrooms with lift access, satellite TV and free Wi-Fi.